Some of my favorite films were written and directed by Rick Famuyiwa. “The Wood”,”Brown Sugar”, and “Talk To Me” were all great depictions of black life and love. In each of these films, he shows how hip-hop culture was able to bring people together in positive ways and how the genre influenced the events in their lives. The director gives hip-hop culture credit for friendships and everlasting love. The films show how the genre can inspire positive change in others. In the director’s new coming-of-age film, “Dope”, Famuyiwa breaks the stereotype of young black lives. Using Shameik Moore’s character, Malcolm, to deviate audiences from the mindset that all of America’s black youth are mentally and physically troubled. In the film, Malcolm doesn’t let the fact that he’s living in the Darby-Dixon area of Inglewood, California or that he only has one memory of his father change that he has a promising future. His deep interest in ’90s hip-hop culture helps to distract him from these realizations. It helps him and his friends to set themselves apart from the drugs and violence they digest everyday. 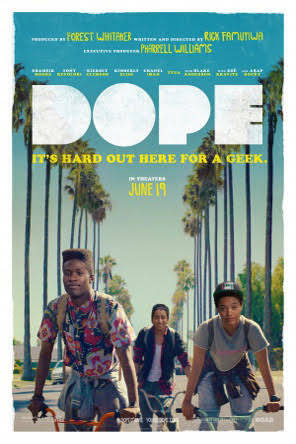 “Dope” does not forget to touch basis on what’s relevant to the millennial generation. Everything from sexual orientation, race issues and the use of the “N” word. Diggy, portrayed by actress Kiersey Clemons, is a lesbian, and her grandmother has attempted to “pray away the gay” by placing Diggy in prayer circles in church. Jib, portrayed by actor Tony Revolori, who identifies with being black (transracial, maybe?) uses the “N” word without giving it a thought. The sketch-comedy is not another cliche black film. Famuyiwa gives Malcolm’s character layers that we have not yet seen in young black characters in film. 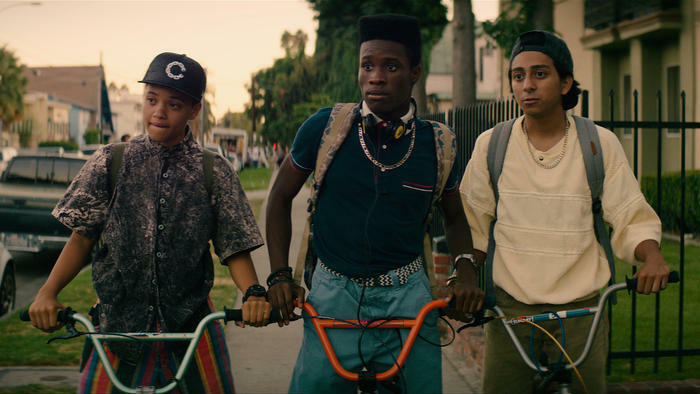 In recent film, the young black character would be the “token black friend”, but “Dope” allows it’s young black characters to control the plot of the film. Famuyiwa’s “Dope” is my generation’s “Do The Right Thing”.